Stronger emphasis on vocabulary development, grammar, punctuation and spelling . Spoken Language is given greater emphasis, with children being taught debating (KS2) and presentation skills (reciting poetry). English is at the core of all our other subjects. 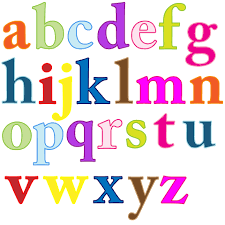 We wish to develop in our children a love of language both written and spoken that will go with them into adulthood. We believe a high standard of speaking, listening, reading and writing skills will place our children at an advantage in their wider curriculum studies. Create a safe caring environment in which all children feel encouraged to speak and listen as appropriate. Provide children with the opportunity to produce a range of written work developing skills across a variety of genre, eg – narrative, information and poetry. Correct spelling and grammar in a sensitive and constructive manner. Encourage children to develop a clear and legible handwriting style through using The Nelson Handwriting Scheme. Cursive script is introduced towards the end of Year 1. Maintain records of pupil achievement to assess their progress and build upon their success.